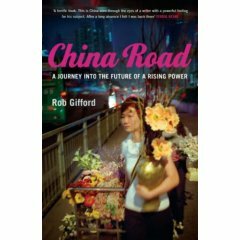 In this week’s Crossing Continents on BBC Radio 4, Marijke van der Meer of Radio Netherlands Worldwide interviews several young adults from China who were born at the time (early 80’s) when China’s one-child policy became strict. Now in their 20s, they express their views on family, sibling, career, marriage, children, and happiness. BBC’s Crossing Continents page and link to the audio replay. About 40 percent of the top students in college entrance examinations have chosen overseas universities for their postgraduate studies, according to a survey. Most of them have stayed overseas after finishing their intended courses, showed a survey that tracked 130 top performers in college entrance exams from 1977 to 1998. Dubbed zhuangyuan, which means top contestants in the imperial examinations in feudal China, these students have been lauded by the media as examples for their younger peers. UNESCO figures show Chinese students comprise 14 percent of international students, the highest in the world. Their favorite destinations for higher studies are the US, Britain and Japan. Some experts said handsome scholarships, better job prospects and more opportunities to pursue further studies are the main attractions of foreign universities. The retrospective application of tightened HSMP (Highly Skilled Migrants Programme) rule last year by Home Office breached human rights and must be scrapped, the joint Commons and Lords Human Rights Committee said. HSMP is aimed to attract skilled workers to work and start business in the UK. the applicants were assessed in a point-based system, and if successful, would be granted a visa enabling them to work in the UK not affiliated with a particular employer. Under the original rule, a HSMP visa holder can apply for permanent residency (Infinite Leave to Remain, ILR) status after four years if they are ecomonic active. Last year Home Office changed HSMP rule so that applicants must work for five years before they can apply for permanent residency. The new rule was not only applicable to new applicants, but also to those who were already in the UK before the announcement. The retrospecive application of new HSMP rule proved to be controversial. A campaign organised by affected HSMP holders has since tried to challenge the retrospective application, arguing that it’s a breaking of fairness and trust by the Home Office. The report said that was a clear breach of the right to respect for home and family life contained in Article 8 of European Convention of Human rights. The full report can be read from Parliament’s website. 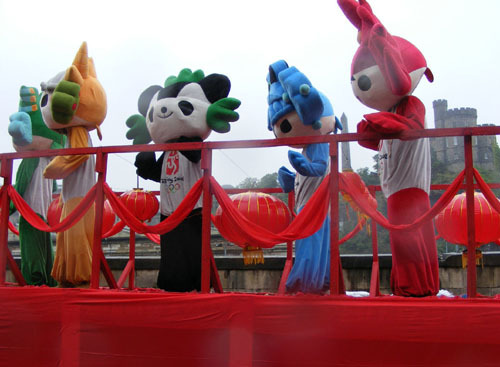 A Chinese community float, dragon dancers, lion dancers, waist drum dancers and Beijing Olympics mascots joined Edinburgh Festival Cavalcade on Sunday. 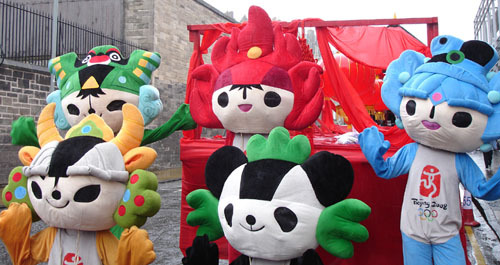 The 2008 Beijing Olympics-themed float was organised by Edinburgh Chinese community. 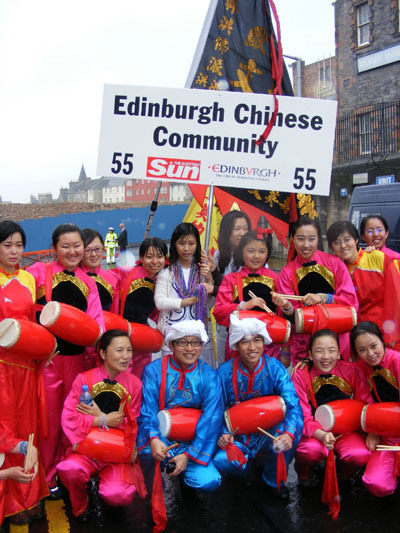 Many Chinese students from several higher education institutes in Edinburgh were also in the parade. 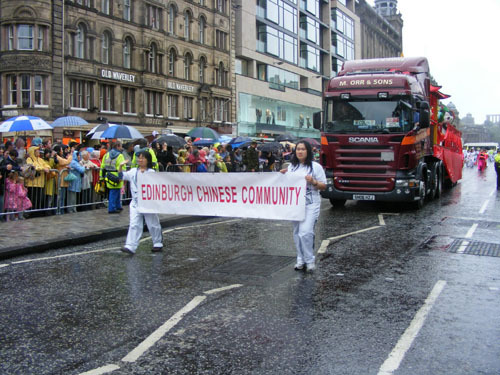 This is the second year that Edinburgh Chinese community participated in the Festival Cavalcade. 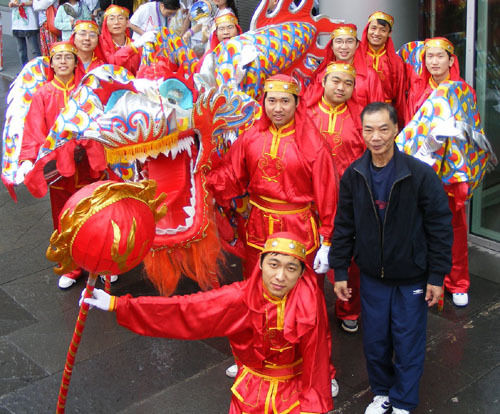 BBC Radio 4’s Crossing Continent programme reports the social problems many new Chinese migrants are facing in Italy. Influx of Chinese migrants in recent years to some of the Italian cities has helped to recover the local economy. However since they become more and more visible, there are tension between the migrants and local people and authority. In cities across Italy tension between the Chinese and Italians is high. The rapid influx of Chinese migrant workers and their dramatic impact on the labour market have caught Italy off guard - particularly in the northern industrial heartland.